9781628998443 | Large print edition (Center Point Pub, January 1, 2016), cover price $32.95 | About this edition: Set in Los Angeles in the days following the Mexican-American War, Trouble in Temescal tells the tale of two entrepreneurial mustangers, Hank Ashwood and Red Wolfe, who have driven a herd of horses from New Mexico to California for resale. 9781628997354 | Large print edition (Center Point Pub, October 1, 2015), cover price $32.95 | About this edition: Fort Haney, a forgotten outpost in eastern Oregon left behind by the regular Army during the War Between the States, is home to Sergeant Forson s Dirty-Shirt Army, a troop of fifty-seven raw recruits in the Oregon Volunteer Cavalry who care little about fighting except among themselves in spite of the fact that they are surrounded by hostile Snake and Cayuse Indians just waiting for opportunities to strike at farmers, ranchers, and stagecoaches. 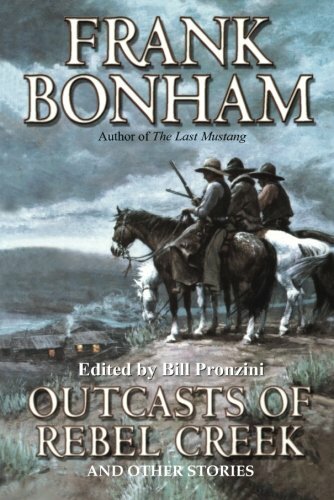 Product Description: Here are three novellas â tales of adventure and intrigue, action and emotion â all set in the sweeping landscape of the Old West that Bonham has made his own. 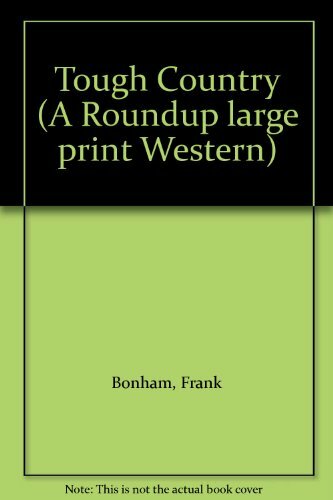 9781408463086 | Reprint edition (Gunsmoke Westerns, January 1, 2011), cover price $24.95 | About this edition: Here are three novellas â tales of adventure and intrigue, action and emotion â all set in the sweeping landscape of the Old West that Bonham has made his own. 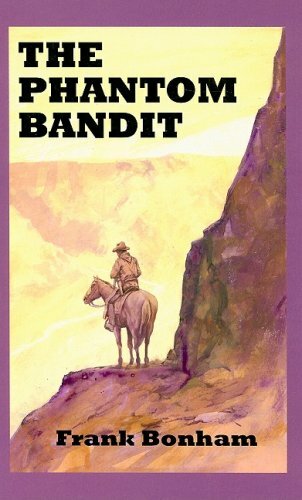 9780786207695 | Large print edition (Thorndike Pr, September 1, 1998), cover price $20.95 | About this edition: Here are three novellas â tales of adventure and intrigue, action and emotion â all set in the sweeping landscape of the Old West that Bonham has made his own. 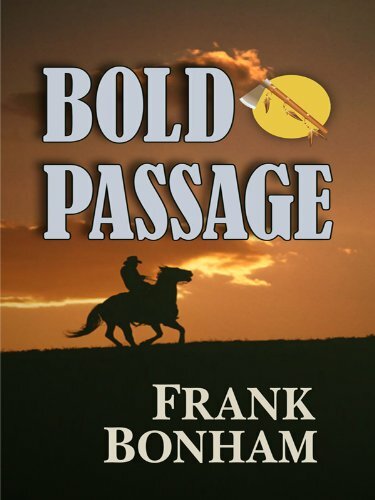 9781477838594 | Reprint edition (Amazon Pub, August 27, 2013), cover price $14.95 | About this edition: Here are three brilliant novellas from Frank Bonham, one of the greatest of all Western authors. 9780753190074 | Lrg rep edition (Ulverscroft Large Print Books, January 1, 2013), cover price $29.99 | About this edition: Here are three novellas â tales of adventure and intrigue, action and emotion â all set in the sweeping landscape of the Old West that Bonham has made his own. 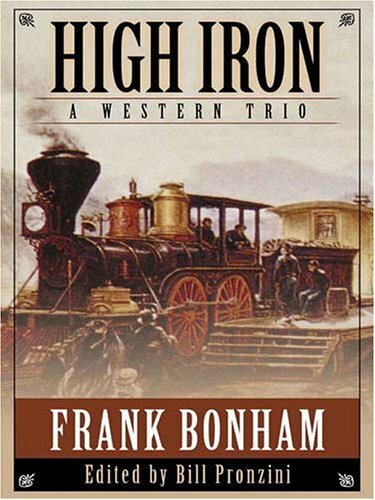 9780843948356 | Leisure Books, February 1, 2001, cover price $4.50 | About this edition: Here are three novellas â tales of adventure and intrigue, action and emotion â all set in the sweeping landscape of the Old West that Bonham has made his own. 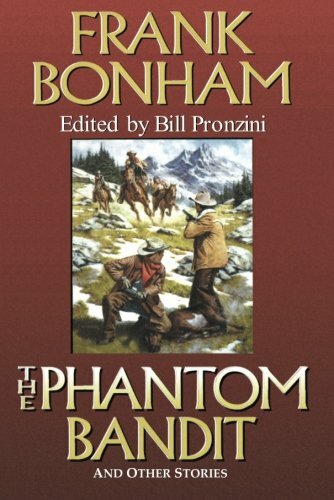 9781445046594 | Unabridged edition (Sage Brush, June 1, 2015), cover price $71.95 | About this edition: Here are three novellas â tales of adventure and intrigue, action and emotion â all set in the sweeping landscape of the Old West that Bonham has made his own. 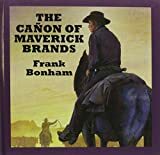 9781445046600 | Mp3 una edition (Sage Brush, June 1, 2015), cover price $71.95 | About this edition: Here are three novellas â tales of adventure and intrigue, action and emotion â all set in the sweeping landscape of the Old West that Bonham has made his own. "Brand of the Bear Flag Mutineers" chronicles a bitter and bloody confrontation between U.S. soldiers and Secessionist troops in California's rugged San Bernardino Mountains during the Civil War. 9781594147418 | Five Star, March 18, 2009, cover price $25.95 | About this edition: "Brand of the Bear Flag Mutineers" chronicles a bitter and bloody confrontation between U. 9780441665099, titled "Pirates of Venus" | Reissue edition (Ace Books, August 1, 1984), cover price $2.75 | also contains Pirates of Venus | About this edition: The shimmering, cloud-covered planet of Venus conceals a wondrous secret: the strikingly beautiful yet deadly world of Amtor. 9781628993967 | Large print edition (Center Point Pub, January 1, 2015), cover price $33.95 | About this edition: "Brides for Oregon" concerns the adventures and hardships encountered by mustanger Hugh Lamerick when he undertakes the dual tasks of driving a herd of horses and leading a wagon train of "strong, courageous young women willing to have a go at settling the West" from Fort Laramie, Wyoming, to Portland, Oregon. 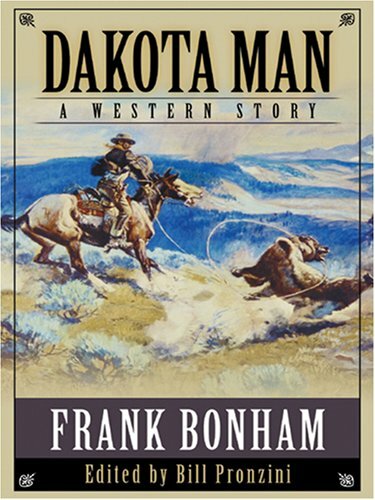 9781628991949, titled "Dakota Man: Western Stories" | Large print edition (Center Point Pub, September 1, 2014), cover price $33.95 | About this edition: "The Texan Buys a Gun-Bride," set in the Republic of Texas in 1841, features a fiddle-playing, bullwhip-wielding hero caught up in land squabbles and land fraud among ranchers, cavalrymen, and a group of feisty Scottish emigrants. 9781594144981 | Five Star, March 21, 2007, cover price $25.95 | About this edition: "The Texan Buys a Gun-Bride," set in the Republic of Texas in 1841, features a fiddle-playing, bullwhip-wielding hero caught up in land squabbles and land fraud among ranchers, cavalrymen, and a group of feisty Scottish emigrants. 9781408463116 | Gunsmoke Westerns, February 1, 2011, cover price $24.95 | About this edition: Henry Logan rides with a mission when he arrives in the border town of Nogales, Arizona Territory: Skiptracing the location of wealthy rancher Richard I. 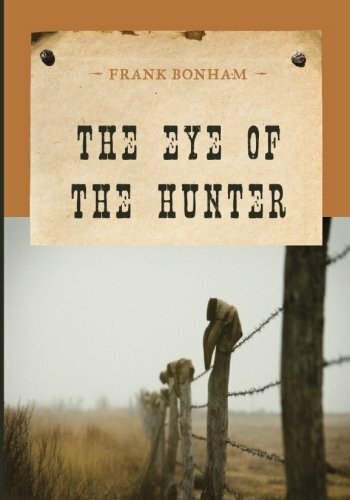 9781590772195, titled "Eye of the Hunter" | Reprint edition (M Evans & Co, March 28, 2014), cover price $13.95 | About this edition: Henry Logan rides with a mission when he arrives in the border town of Nogales, Arizona Territory: Skiptracing the location of wealthy rancher Richard I. 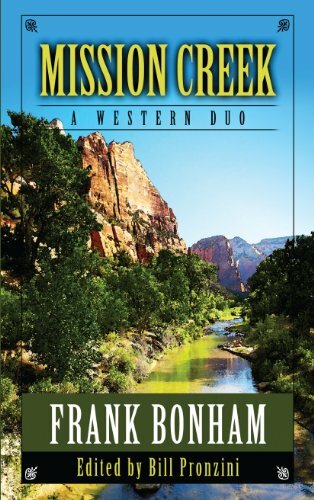 9781477838617 | Reprint edition (Amazon Pub, October 1, 2013), cover price $14.95 | About this edition: With his riveting, action-packed stories, Frank Bonham has long been known as one of the premier writers of the West. 9780843958102 | Reprint edition (Leisure Books, January 30, 2007), cover price $5.99 | About this edition: Complies some of the author's greatest stories in this exciting anthology that captures the action, adventure, and unforgettable characters of the Old West, from a former army captain on the trail of the con-artist who framed him, to a map-maker forced to help a gang of outlaws find a lost army payroll. 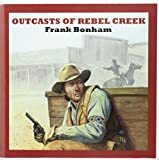 9781477838570 | Amazon Pub, September 24, 2013, cover price $14.95 | About this edition: Outcasts of Rebel Creek collects four of the best stories from one of the finest writers of the genre. 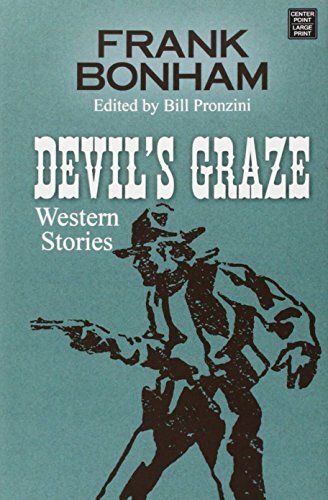 9780843955248 | Reprint edition (Leisure Books, May 3, 2005), cover price $5.99 | About this edition: Four of the author's best stories are contained in this volume detailing the adventures of a gambler trying to clear his family name, a rancher who butts heads with a greedy cattle buyer, a gang of outlaws trying to survive the High Sierras, and a young Texan who drives cattle during the Civil War. 9781445015811 | Mp3 una edition (Ulverscroft Soundings Ltd, May 1, 2012), cover price $59.95 | About this edition: Bill Devlin of "Butcherknife Ridge" is a tough but fair, rugged yet flawed protagonist - a man fighting to earn respect for himself while trying to clear the name of his grandfather. 9781445015804 | Unabridged edition (Ulverscroft Soundings Ltd, May 1, 2012), cover price $59.95 | About this edition: Bill Devlin of "Butcherknife Ridge" is a tough but fair, rugged yet flawed protagonist - a man fighting to earn respect for himself while trying to clear the name of his grandfather. 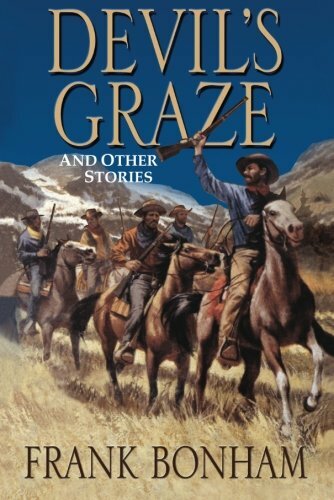 9780786253630 | Large print edition (Thorndike Pr, June 1, 2003), cover price $24.95 | About this edition: A collection of Western stories follows the many daring and dangerous adventures of Grif Holbrook, a shotgun guard for the Butterfield stagecoach line. 9781477838587 | Amazon Pub, September 17, 2013, cover price $14.95 | also contains Stage Trail's West | About this edition: KEEP THE STAGE ROLLINGWorking on a stage trail isn't just a job for Grif Holbrook, it's in his blood. 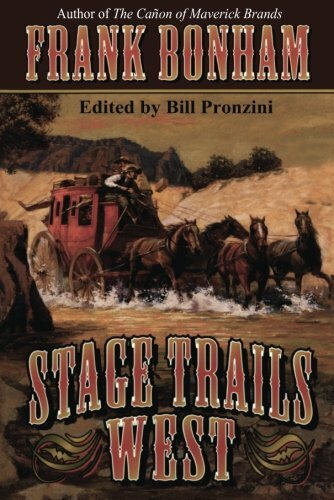 9781477838587, titled "Stage Trails West" | Amazon Pub, September 17, 2013, cover price $14.95 | also contains Stage Trails West | About this edition: KEEP THE STAGE ROLLINGWorking on a stage trail isn't just a job for Grif Holbrook, it's in his blood. 9780843951493 | Reprint edition (Leisure Books, February 1, 2003), cover price $4.99 | About this edition: Filled with unforgettable characters, a collection of exciting Western stories follows the many daring and dangerous adventures of Grif Holbrook, a shotgun guard for the Butterfield stagecoach line. 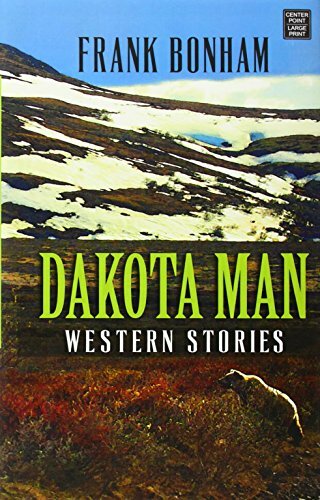 Product Description: A collection of seven Western stories includes the title story, in which Lyle Kearny fights Gus Stoneman's plan to improve life for the settlers of the San Augustin Plains by building a dam on Kearny's land. 9781477831113 | Amazon Pub, July 23, 2013, cover price $14.95 | About this edition: A collection of seven Western stories includes the title story, in which Lyle Kearny fights Gus Stoneman's plan to improve life for the settlers of the San Augustin Plains by building a dam on Kearny's land. 9780843963366 | Leisure Books, April 27, 2010, cover price $6.99 | About this edition: A collection of seven Western stories includes the title story, in which Lyle Kearny fights Gus Stoneman's plan to improve life for the settlers of the San Augustin Plains by building a dam on Kearny's land. 9780754081135 | Gunsmoke Westerns, January 1, 2001, cover price $19.00 | About this edition: September, 1893. 9780893404697 | Large print edition (John Curley & Assoc, April 1, 1983), cover price $11.95 | About this edition: September, 1893. 9780425050415 | Berkley Pub Group, September 1, 1981, cover price $1.95 | About this edition: September, 1893. 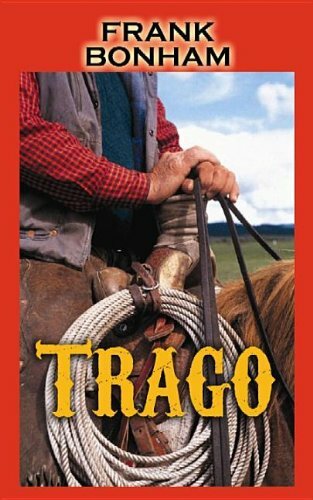 9781611734553 | Large print edition (Center Point Pub, July 1, 2012), cover price $32.95 | About this edition: Trago was a man of the West. 9781842629123 | Large print edition (Ulverscroft Large Print Books, June 1, 2012), cover price $29.99 | About this edition: Frank Bonham's short novels, as Bill Pronzini says, are essentially mini-novels loaded with twists and turns of plot, historical incident, breadth and depth of character, action, romance, evocatively described backgrounds, and rich period detail. Product Description: Published in 2011 in conjunction with Golden West Literary Agency--T.p. verso. 9781410456809 | Large print edition (Thorndike Pr, March 20, 2013), cover price $27.99 | About this edition: Published in 2011 in conjunction with Golden West Literary Agency--T.
9781594149412 | Five Star, March 16, 2011, cover price $25.95 | About this edition: Rodeo Killer is the tale of smoldering and violent conflicts among New Mexico cattle ranchers. Product Description: Including Zane Grey - Canyon Walls, Will Henry - The Streets of Laredo, Max Brand - Viva! Viva!, and Alan LeMay - Lawman's Debt. 9781601360953 | Cdr edition (Foreign Media Books, August 16, 2010), cover price $18.95 | About this edition: Frank Bonham - The Mustanger, Dan Cushman - The Craft of Ka-Yip, and H.
9781601360885, titled "Bold West" | Audio Holdings Llc, August 16, 2010, cover price $18.95 | also contains The Bold West | About this edition: Including Zane Grey - Canyon Walls, Will Henry - The Streets of Laredo, Max Brand - Viva! 9781552040652 | Durkin Hayes Pub Ltd, December 1, 2000, cover price $9.99 | About this edition: This volume features Frazee's "Death Rides this Trail"--After bringing his family west to homestead, Jake Breslin is killed in a saloon brawl, leaving his 16-year-old son Dirk, Dirk's brothers and sisters and their mother decide to meet the challenge head-on; Grey's "Yaqui"--the extraordinary story of one Yaqui Indian during the time in Mexico when the Yaqui's were being hunted, killed, and enslaved; and Flynn's "Back Trail"--Tom Buckner returns to the town of Luna only to realize that the love of his life is not the puzzle he had always believed she was. 9780753180082 | Large print edition (Ulverscroft Large Print Books, June 1, 2008), cover price $27.99 | About this edition: In Wanted! 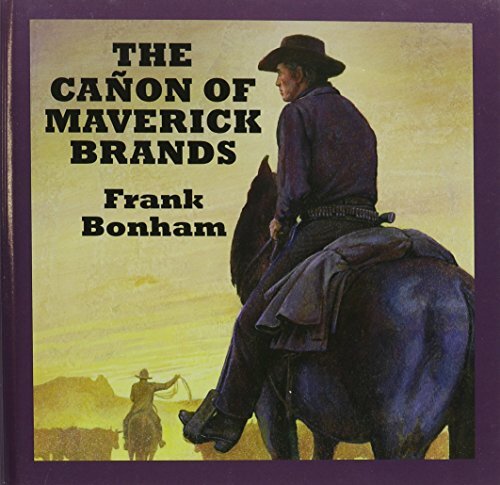 Product Description: Here for the first time in book form is a quartet of Frank Bonham's finest western stories. 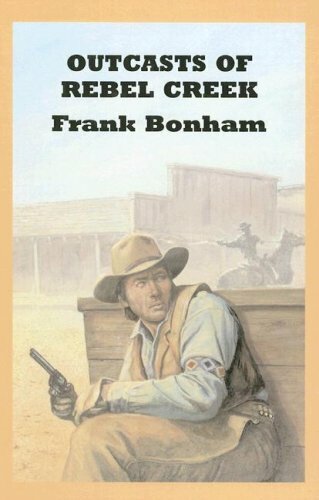 9780753177754 | Large print edition (Ulverscroft Large Print Books, December 30, 2007), cover price $29.99 | About this edition: Here for the first time in book form is a quartet of Frank Bonham's finest western stories. 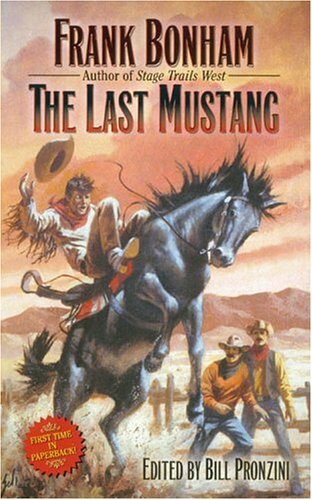 A collection of eight stories from the master of frontier fiction includes The Last Mustang, in which a mustanger, while trying to trap a herd of wild horses in the Whetstone Mountains, finds his job challenged by a fiesty woman rancher and a dangerous case of cattle rustling. Reprint. 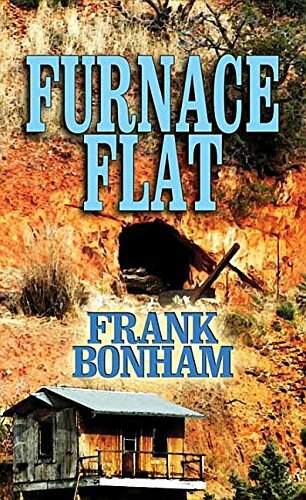 9780843954326 | Reprint edition (Leisure Books, September 2, 2004), cover price $4.99 | About this edition: Features eight stories from the frontier fiction author Frank Bonham. 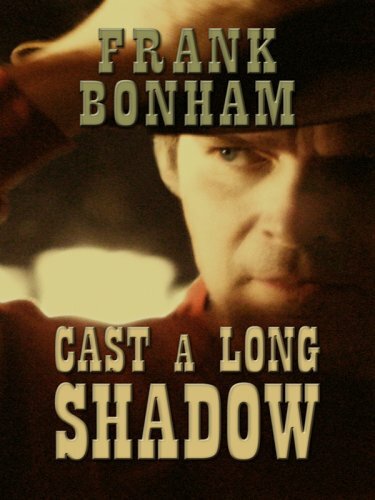 9781594143342 | Five Star, March 8, 2006, cover price $25.95 | About this edition: Here, for the first time in book form, are three of Bonham's best Western short novels.